We accompanied my husband last week at Centro Holistico in Commercenter. 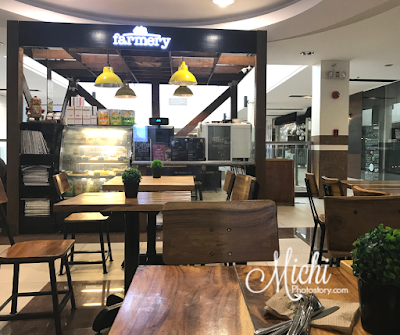 This was our second time in Commercenter, few years ago pa yung first visit namin so I was surprised when I saw that there are so many restaurants in Commercenter that we haven’t tried pa. I also discovered a Korean store so if ever I want to have samgyeopsal at home, I know where to buy my ingredients. As I mentioned, my husband had an appointment at Centro Holistico and only patient is allowed to go inside the room so my son and I had a late lunch at The Farm Organics. Late lunch because my husband was not allowed to eat two hours before the procedure so baka magutom lang siya pag kumain kami na kasama siya. Hehehe! The nearest restaurant in Centro Holistico is The Farm Organics, you can sit inside or outside the restaurant but I decided to eat outside so kita agad kami ni hubby paglabas niya. This is the third branch of The Farm Organics that we have tried, the first one in Twin Lakes Tagaytay and the second one in Solenad. My son likes burger steak so whenever he sees burger steak in the menu, eighty percent of the time, yan ang order niya. 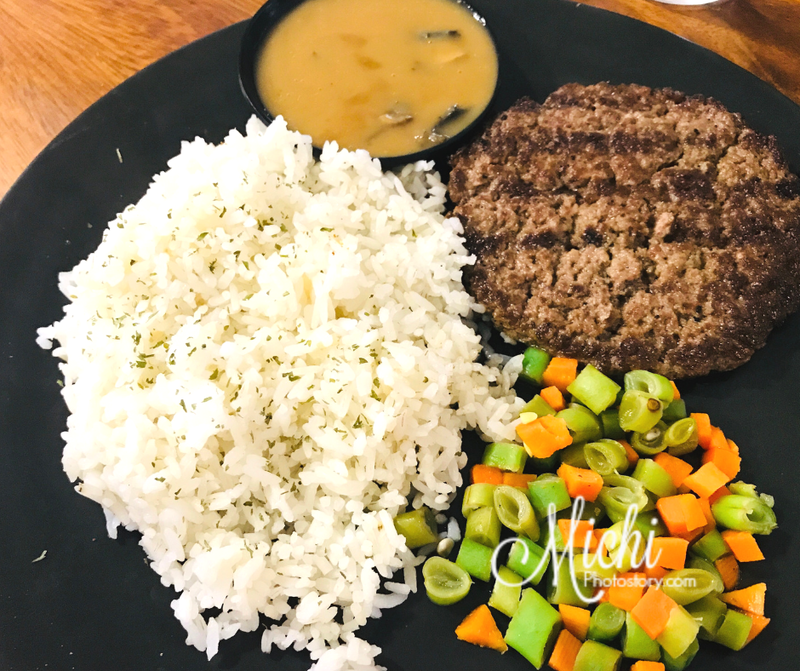 So I ordered Local All Natural Burger Steak P190 and All Natural Steak Salpicao P300. You can choose bread or rice (garlic rice or plain rice). I ordered bread with my salpicao and rice for the burger steak. 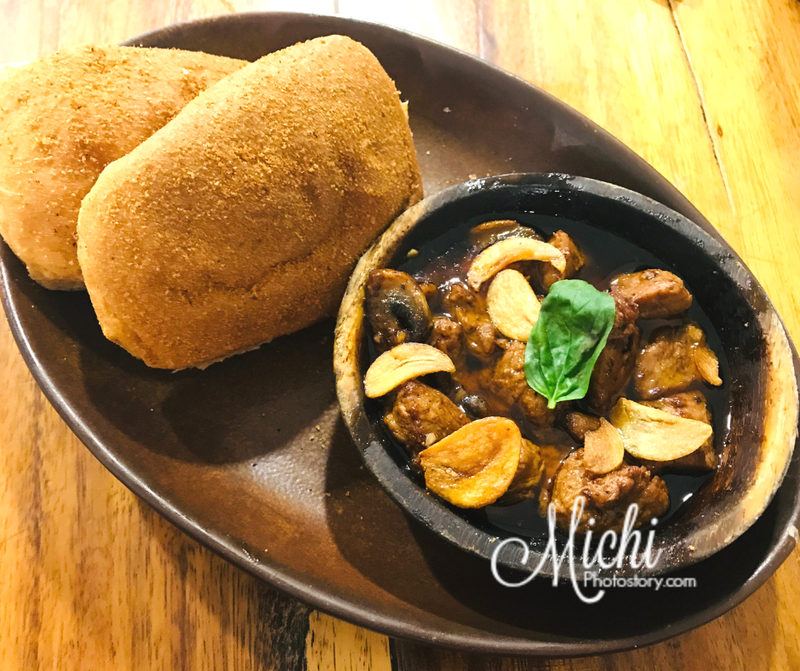 I thought ibang bread yung sa salpicao so I was shocked when I saw pandesal. So my son and I switched because he likes bread daw para burger. Hehehe! We just finished our meal when my husband arrived, buti naman because I was thinking pa nga kung san kami tatambay after kumain.